CHICAGO (WLS) -- Two men, ages 19 and 22, have been charged in the knife-point robbery of a British tourist near Oak Street Beach in the Gold Coast neighborhood Saturday night, officials said. 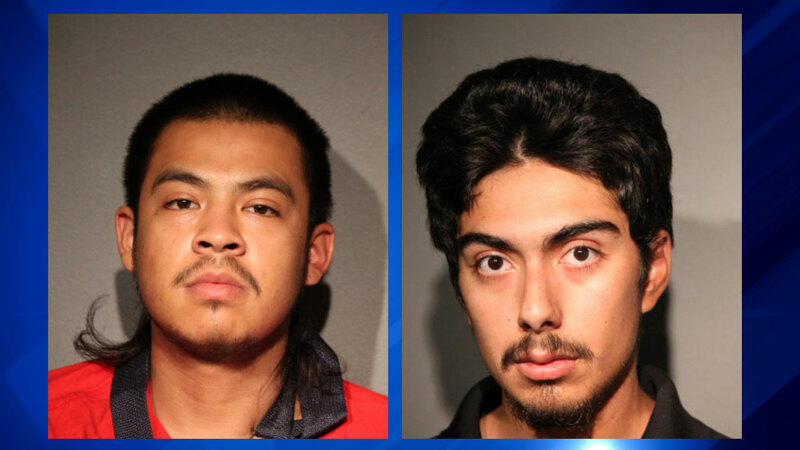 Noe Mondragon, 22, and Luis Salgado-Camargo, 18, both of Chicago, have been identified as two of the three people who robbed the 27-year-old man and a 26-year-old female, officials said. The victim, Neil McCarthy, was stabbed in the shoulder during the robbery. McCarthy and his girlfriend came from Minneapolis for a weekend getaway. "They came over, kind of jovially, and said, 'Hey, how's it going? Do you want to give me some money,'" McCarthy said. "To which we responded, 'Not ideally.'" The offenders then ran away with several items including the victims' cell phone, wallet, credit cards and passport. The female victim was not injured. Mondragon faces one count of felony aggravated battery with a deadly weapon and one count of felony armed robbery. Salgado-Camargo is charged with two counts of armed robbery. The two men are scheduled to appear in bond court Monday.